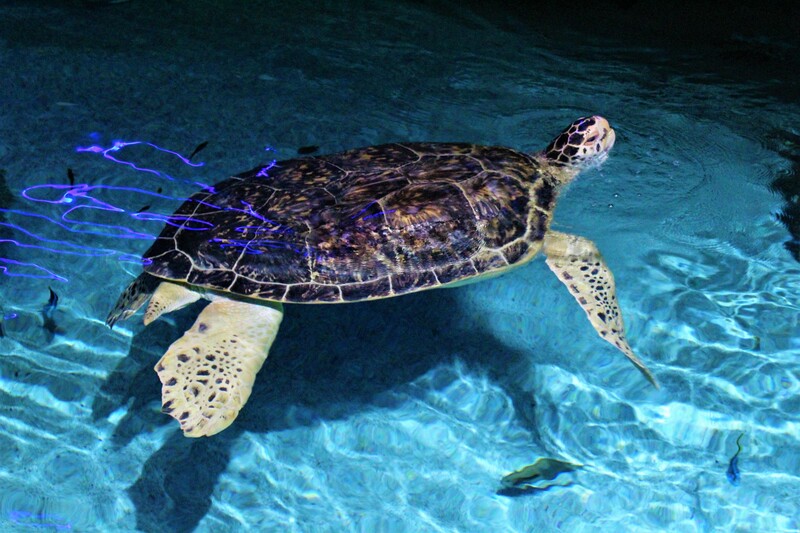 Meet “Calypso” a Green Sea Turtle (Chelonia Mydas) with only three flippers. In 2000 “Calypso” was rescued in Long Island Sound by The Riverhead Foundation for Marine Research and Preservation after being stranded. When the sea turtle was rescued, it weighed just six pounds and had an infected left front flipper. The infected flipper could not be treated and had to be amputated. 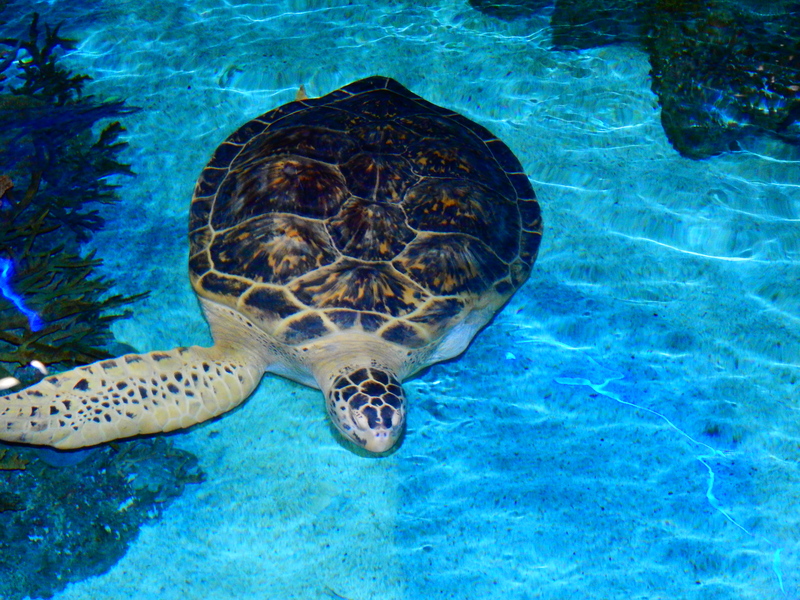 In 2002, after making a full recovery, the turtle was donated to The National Aquarium. Fast forward fifteen years later and against the odds, “Calypso” weighs over five hundred pounds and is a hit at the Blacktip Reef at The National Aquarium. This entry was posted in Photography. Tagged Baltimore, Weekly Photo Challenge. Eyes really pretty, but five hundred pounds! How big is he? I mean, comparatively? Very interesting and beautiful story ! A great story to share! Love the photos! Love the pictures…I adore sea turtles and the ocean…but his story is even more appealing and amazing. Wonderful take on the weekly theme!